Prototype: "Vectron" class 193 electric locomotive. Painted and lettered with special designed Marklin look. 200th birthday of Theodor Friedrich Wilhelm Marklin 1817 - 2017. Limited worldwide to 1,817 pieces. 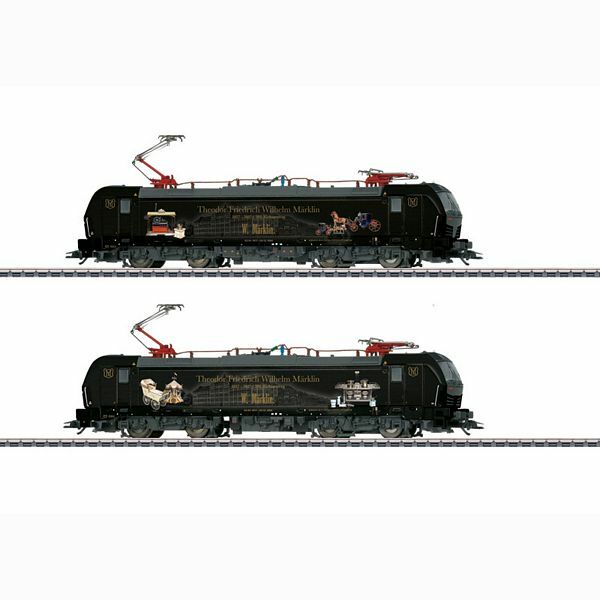 Locomotive includes a built-in mfx decoder and a variety of light and sound functions.